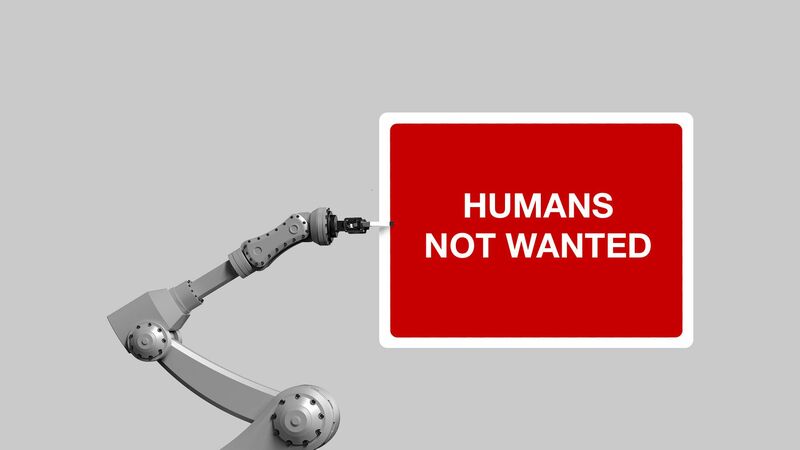 Kaveh writes: By changing incentives that currently encourage the development of technologies that compete with people, experts hope to redirect the future of work away from widespread automation-fueled job loss. The big picture: As we reported this week, economists Daron Acemoglu and Pascual Restrepo have found AI and robotics are destroying more jobs than they are creating. Uber is seeking an eye-popping valuation of $90 billion-$100 billion in its IPO —even north of $120 billion, if senior executives are to receive a bonus payday. What's happening: While the buzz around the company is likely to continue, serious questions about its core businesses create risks for Uber's share price once it's publicly traded. Uber's base of active monthly ride-hailing and Uber Eats users grew by 33.8% last year, down from 51% growth the prior year. And its revenue, while up 42% last year, slowed from 106% in 2017, reports Reuters' Joshua Franklin. Uber Eats alone had $7.9 billion in gross bookings for 2018, up from $3 billion in 2017, Axios' Kia Kokalitcheva reports. But its adjusted net revenue, which takes into account added incentives they are paying drivers to deliver the food, fell from $218 million in the second quarter last year to $165 million in the fourth quarter, writes Bloomberg's Eric Newcomer. Let's focus in on ride-hailing: For years, Uber's main argument for its high valuation was that it was transforming itself into an autonomous ride-hailing service, and would thus be astronomically profitable by saving on driver costs. Co-founder Travis Kalanick called the shift to driverless "existential" in terms of Uber's success and value. But fully driverless technology has proven far more difficult to develop, and almost no one thinks it will be commercialized before the 2030s, if not a decade or more after that. Yet even when it does happen, Uber's regulatory filing singles out the possibility that rivals could commercialize driverless systems before it can, and it that case, it would be hurt financially. Tasha Keeney, an analyst with ARK Invest, predicts in an email analysis that that is precisely what will happen: Uber will end up relying on rival technology companies. She said fees will rake off a large share of Uber profits, seriously reducing the ride hailing company's take. When it isn't shockingly frank about its challenges, the Uber filing is astonishingly hubristic: Uber says its total addressable market in its various businesses is all money spent, period, report the FT's Richard Waters and Shannon Bond. It has a shot, it says, at all $5.7 trillion spent on personal mobility everywhere in the world, even though it no longer operates independently all over the world; at all $2.8 trillion spent at restaurants; and at $3.8 trillion on freight trucking. As a reality check, Brent Thill, an analyst with Jefferies, puts the total U.S. food delivery market at $200 billion, but says it won't be a "winner-take-all industry," per Bloomberg's Cristin Flanagan. Pay attention to this — Lyft, Uber's smaller U.S. competition, debuted on April 1 at $72 a share and rose to $78.29 on its first day of trading. Today, it's trading at $59.97, a 16% below its initial price. Long week? Never mind. Here is the best of Future. Switzerland — among the top ten coffee-drinking nations in the world — takes its java obsession seriously, going so far as to stockpile beans for a rainy day. But now, it's debating getting rid of its reserves. Erica writes: Switzerland started hoarding coffee beans in the early 20th century, to prepare for potential shortages. Today, the government has 15,300 tons on hand— enough for three months, reports BBC. But now, the government argues that the practice ought to stop because coffee is not in fact "essential for survival." The average Swiss person, who drinks about 5 cups of the stuff per day, might beg to differ.